Hulu is a private company that is roughly 60% owned by Disney, 30% by Comcast and 10% AT&T. The latter stake (9.5% to be precise) is being bought back by Hulu itself for $1.43 billion, valuing the whole company at $15 billion. Hulu will presumably apportion the stake such at Disney owns two thirds of the company and Comcast one third. AT&T says it will use the case to pay down its debt pile a bit, but the ongoing relationship of its expensively acquired media business with OTT players like Hulu will remain a source of intrigue. Disney recently announced its own streaming service, as did Comcast’s NBCUniversal at the start of this year. On top of that Apple is getting funny ideas, Netflix and Amazon continue to throw money at original content and you’ve got all the various on-demand versions of traditional broadcasters. They can’t all go it alone. So the aggregation of this proliferation of video on-demand is a critical issue. How long WarnerMedia will remain a valued partner of Hulu now that AT%T doesn’t own a piece of it remains to be seen. The acquisition was announced almost a year ago but such is the way of these things that the EC has only just got around to flagging up its issues with it now. The objections haven’t been published but they have been widely reported and are presumably not a million miles away from those flagged up at the end of last year. Anyway it doesn’t seem to have thrown Vodafone out of its stride at all and it issued the following statement. “The Commission’s Statement of Objections is an expected part of the review process. We will review the Statement and continue our constructive dialogue with the Commission. Reading between the lines this seems to be Vodafone saying “we got this”. Being given a bunch of hoops to jump through was always going to be an inevitable part of this process and it’s probably a relief to have finally received them. Vodafone will now spend a couple of months chatting to the EC to make sure all its objections are properly addressed, with its fingers crossed throughout. F5 is hardly the first to notice the importance of the cloud in the evolution of the entire tech industry, nor is it unique in realising that open-source is a great way of making a multi-cloud environment work. But for a company of its size (revenues of $563 million in 2018) this certainly qualifies as putting your money where your mouth is. Open source and DevOps are often referred to in the same breath as part of a broader narrative around ‘agility’. One of the main benefits of the move to the cloud is the far greater choice, efficiency and flexibility it promises, but without a culture geared towards exploiting those opportunities they’re likely to be wasted. With this acquisition F5 is positioning itself as a partner for telcos heading in an agile direction. Here’s a diagram outlining the rationale of the move. Ericsson opened MWC 2019 by announcing the proposed acquisition of a big chunk of the antenna market leader Kathrein. Speaking to press and analysts on the first morning of the show, Ericsson CEO Börje Ekholm said the acquisition would be incorporated into its networks business and, while it will add around a quarter of a billion euros in revenues, the main point of it seems to be to add another feature set to its networking offering and also grab around 4,000 boffins. Kathrein has been around for 100 years, but Ericsson seems to think the dawn of 5G means this is a good time to be a major antenna player. 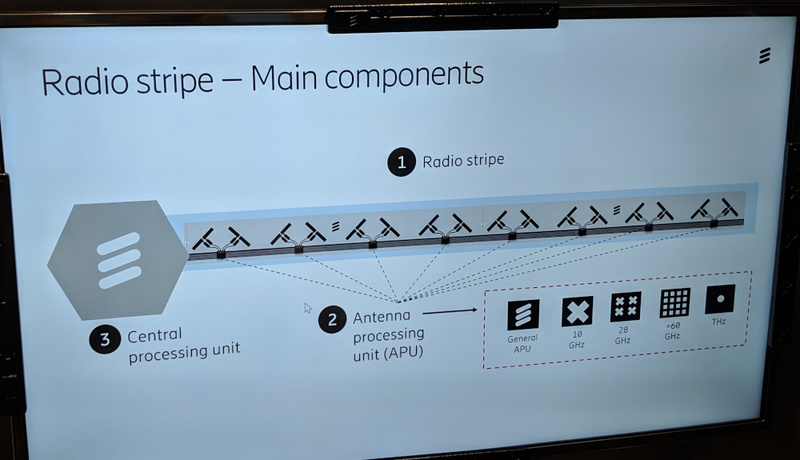 All the extra bandwidth promised by 5G needs a lot more channels and a bunch of new spectrum and Ekholm was keen to show how much thought Ericsson is already putting into this matter by showing off a product called the Radio Stripe, which it doesn’t seem to have spoken about before. Aside from that news Ekholm’s speech was, frankly, a bit dull. He mainly went through stuff already in the public domain and indulged in the usual, safe platitudes about how exciting 5G is and how great at it Ericsson is. Other hacks and analysts we spoke to at the event felt the same way and, knowing from first-hand experience that he’s much more charismatic in person, this ‘boring Börje’ on-stage persona is a little bit baffling. Maybe it’s an understandable correction of the more hype-driven Vestberg era, but Ericsson does sometimes seem to have a bit of an understatement problem. Focusing on substance over style is laudable, but sometimes leaders need to lead ostentatiously. It would be nice to see Ekholm unshackle his personality and go off-message every now and then. Imagine our surprise the day before a lunch scheduled with the CTO of Red Hat when IBM announced it was buying his company. Sometimes the journalism gods, those that are left, smile on even the humblest of hacks and today it was our turn. 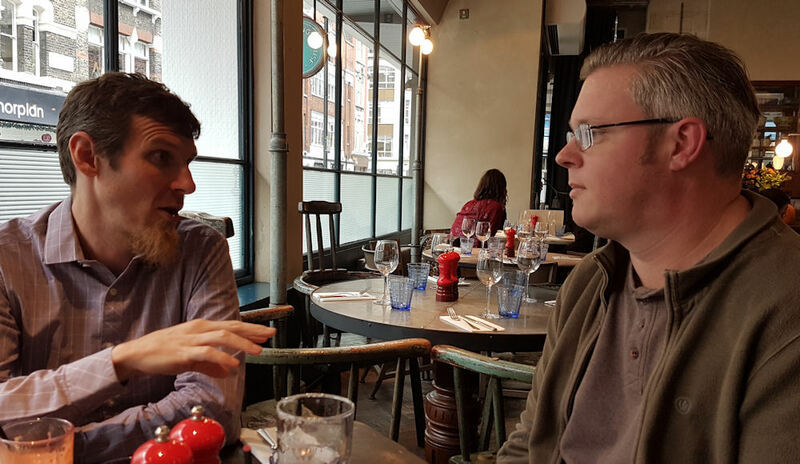 Lunch with Chris Wright (pictured below, with said hack) had already been arranged with the promise of delivering the kind of light Linux chit-chat over a glass of red that we all secretly crave. But then, out of the blue (pun intended) IBM announced it’s going to buy Red Hat for $34 billion and things suddenly got a bit more spicy. Now, you don’t get to be the CTO of a major company by speaking injudiciously to the press, so we didn’t expect Wright to have much to say on the relative merits of the acquisition itself. Instead we wanted to know more about what Red Hat brings to the table, such that a venerable tech giant would want to drop such a serious chunk of change on it. 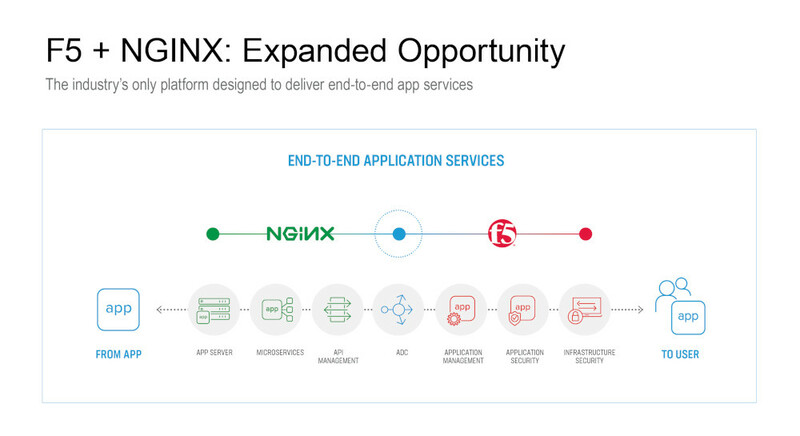 The core of Red Hat’s product strategy for the past few years has been the hybrid cloud. In its simplest terms this refers to the use of both private, on-premise server capacity and the public cloud as found in colossal data centers provided by the likes of AWS, Microsoft and Google. Increasingly this applies to pretty much all larger enterprises so it’s a pretty important place to be if you’re serious about the B2B tech space. Sharing this writer’s love of a pun, Wright conceded that the cloud is a nebulous term, but that’s why you need companies that have made it their business to get their heads around it, such as Red Hat. IBM is, and always has been, a B2B tech company, so it’s easy to see why it would want to buy a company that specialises in one of the most important and arcane manifestations of that. Everyone in tech has probably had to puzzle over one of those baffling software architecture slides that attempt to explain how everything fits together via the use of endless rectangles piled on top of each other like some geeky game of Jenga. Throw hundreds of those into a virtualised environment spanning any number of actual physical locations and you get somewhere close to the kind of challenge faced by today’s CTO. Between the cloud and the cloud user lies an extended value chain of technologies and services dedicated to making that relationship as useful and intuitive as possible. One good example of this is the banking app, through which anyone can now whizz thousands of pounds around the world in an instant. For this to be made possible a hell of a lot of robust technologies have to exist between the bank’s servers and the client device. According to Wright, Red Hat plays across that whole value chain, so for that reason alone it’s easy to see its appeal to IBM. But Red Hat is also deeply rooted in the Linux, open-source culture, which isn’t necessarily an obvious fit with IBM’s notoriously rigid corporate philosophy. 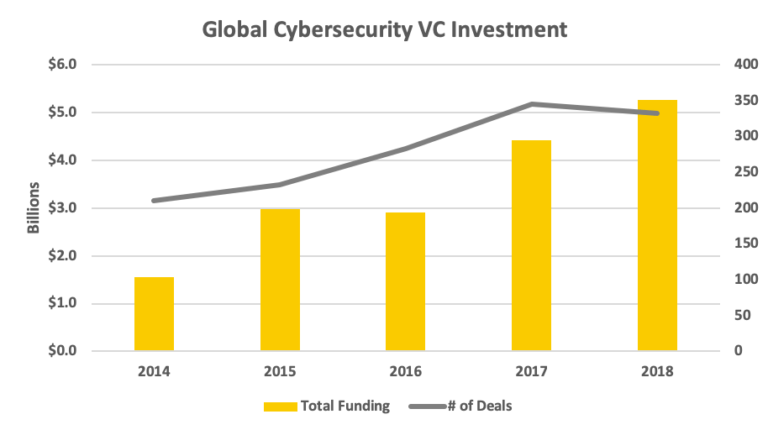 As with so much M&A, how effectively the cultures of the two organisations are reconciled will be the single most important factor in determining whether this deal goes down smoothly or results in corporate indigestion. New York Attorney General Barbara Underwood could prove to be another hurdle for T-Mobile and Sprint to overcome in their headache-inducing merger. The problem for the pair is there seem to be a lot more objections surrounding the tie-up than there has been support. After T-Mobile CEO John Legere seemingly got little response from his appeal to MVNOs to support the transaction, the wild-eyed leader has opened up to opinions from staff; a dangerous move considering some would certainly be under threat of redundancy. Perhaps what the duo didn’t need are objections from the New York Attorney General Office over fears the consumer might get screwed. According to the New York Post, the objection is relatively simple. T-Mobile runs a prepaid service called MetroPCS, while Sprint has Boost and Virgin Mobile. Bringing all three into the same business could lead to one or more being scrapped, reducing competition. Secondly, all three are incredibly aggressive on pricing, but again, bringing all three into the same business could end this trend of undercutting, and an increase in price. The New Yorkers are concerned tariffs could become too expensive for some. While objections from a few lawyers might not be the worst thing in the world for T-Mobile and Sprint, it seems there is a queue forming. In fact, the FCC released a notice last week which stated the Attorney General Offices of Alabama, Connecticut, Florida, Hawaii, Mississippi, Tennessee, Virginia, Washington, Wisconsin and the District of Columbia have all requested information to assist their own investigations into the merger. The lawyers are lurking, and the more who gather around the fire, the less pleasing the situation appears for T-Mobile and Sprint. This of course might mean nothing. All major parties in the US are perfectly entitled to do their own due diligence surrounding the deal as transitioning from a market with four major telcos down to three is a massive move. Considering there will be regions across the country where this transaction effectively creates a communications monopoly, every chance to scrutinise the deal should be taken. As it stands, the self-appointed shot-clock on approving the deal at the FCC is on hold. This again is simply down to the magnitude and the potentially significant consequences of the deal, and should not be surprising at all, but the longer it stands still, we suspect the more nervous executives will become. Mergers of this nature have already been shot down in the US, and this deal does seem to be hanging in the balance.